Some people wonder if there is a link between heart disease and gum disease. There actually is. Heart disease happens when the blood vessels either become too narrow of all the way blocked. When this happens, chest pain, heart attack, or a stroke will happen to you. 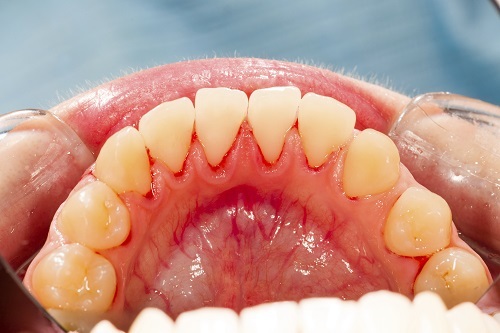 Gum disease is a disease of the gums and is also known as periodontal disease and is a bacterial infection that causes problems or conditions outside of the mouth. Here is more information on how gum disease and heart disease are linked. How are gum disease and heart disease linked together? There is one theory that since gum disease is a bacterial infection that causes conditions outside of your mouth, the bacterial infection goes through your bloodstream and then attaches to the fatty parts of the blood vessels that go to your heart. Because of this, it can cause blood clots that can end up causing a heart attack. Whether you have heart disease or not, you should maintain proper oral health. However, if you have heart disease, you should maintain proper oral hygiene even more. There are a few things you should do to ensure you do keep your teeth and gums healthy and to ensure you do not get gum disease, when you have heart disease already. One thing you should do no matter what is to brush and floss every day. You should also see a dentist regularly and make sure to also tell your dentist if you do have heart disease. Make sure to always contact us if you have any questions about anything related to gum disease. Contact your family doctor if you suspect you have heart disease and do not forget to let us know if you have this disease.